Over the past year I have become a huge fan of Chris d'Lacey's, having read 13 books of his over the past 10 months. 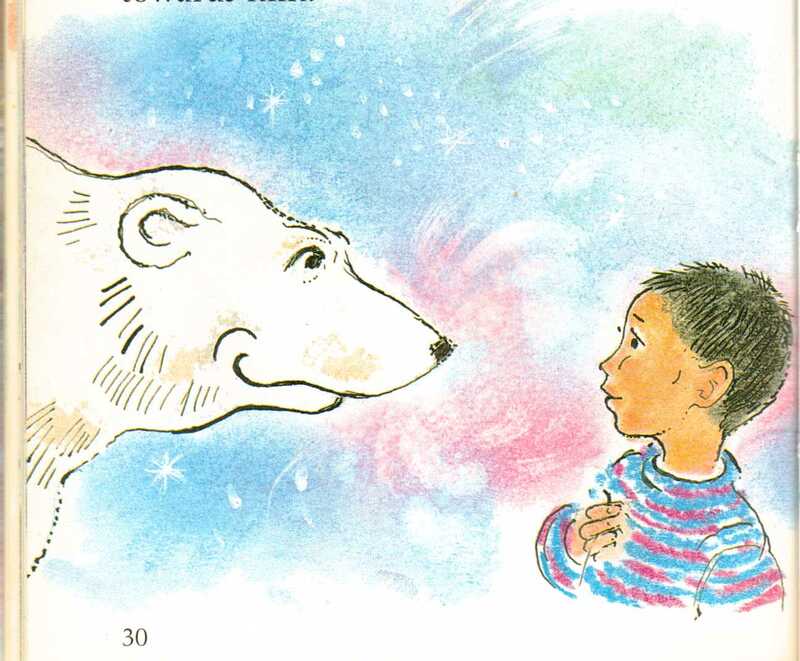 My children love his stories that we have shared, and I have loved some of the ones that they are a little young for. I tracked down this book even though it is out of print because it was the first book written by Chris. I am very glad I did. 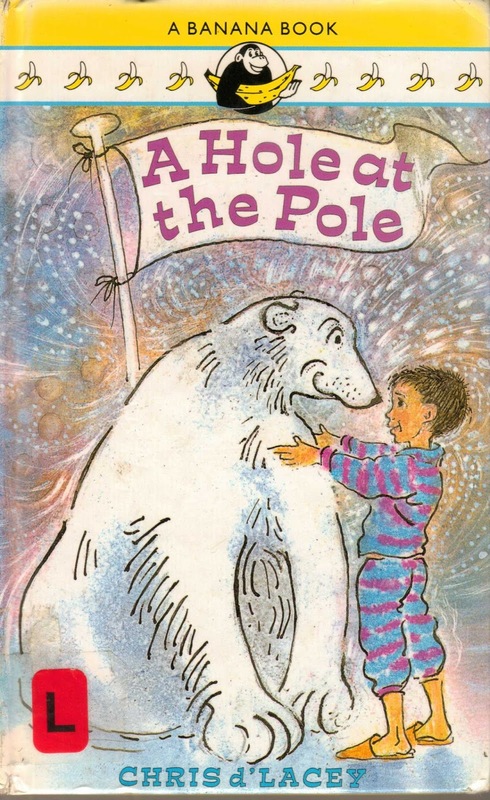 My three children and I read this book together the day it arrived. My children ages 10, 8 and 5 all loved the story. And the younger two were captivated by its message. And what we can do about it. 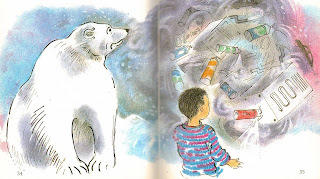 There is a very late snow storm and Billy makes a snow polar bear and that night he dreams and meets a polar bear who is the teller of stories. Soon Billy has his whole class excited and they decided to do something about Global warming. This book was a wonderful read; and though I keep very few physical books these days, personally preferring eBooks. I have a feeling I will need to track down another copy of this so that both my youngest can have one on their shelves. The illustrations by Joanna Carey are wonderful. My children love going over them again and again. Bright beautiful pictures that really enhance the story. Reading this book having read many of d'Lacey's other books was really fun. We see forerunners of other characters, and reoccurring themes and motifs. It is interesting to see where his writing has come to, and see this most excellent first offering. 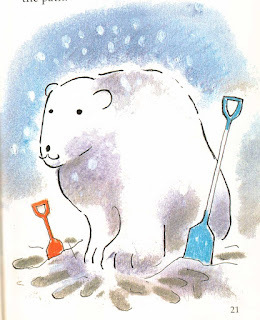 I highly recommend going through the effort to track this down, especially for fans of d'Lacey's other works or for anyone who loves great books to read with the kids in their lives.